3) Red velvet cupcakes. I baked some last week from the Ina Paarman box I’d brought from South Africa. They are great and they are now all gone, so I’ll have to find a good recipe for them to make some more. 4) Rather a big pleasure – I bought a long overdue new bike! Looking forward to many long rides in the countryside. 5) Coming across a display of South African preserves and fruit juices at Galeria Kaufhof at Alexanderplatz. Always love to see our colourful flag in a foreign country! 6) Buying Savannas (a South African cider) to share with friends at the Kulturbrauerei food market on Sunday. The taste teleports me back to the balcony of our safari tent accommodation at Kruger national park. I can feel the warmth of the evening and hear the birds, insects and animals around, smell the water of the nearby river. 7) The view from our apartment balcony, now that the leaves are back on the trees and it’s getting warm enough to sit outside. 8) Cappucino and muffins at Gleisdreieck park near Potsdamer platz, while watching people skateboarding and doing BMX jumps on the bike track opposite. 9) A walk through a park that used to be a train repair yard, seeing how quickly nature has taken over. 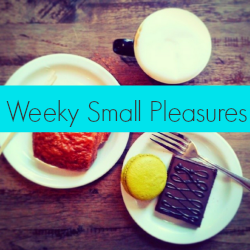 Those were my small pleasures this week, join Mani’s blog event to share your own! Okay, I gotta say that this is one of my favorite weekly pleasures posts I’ve seen! 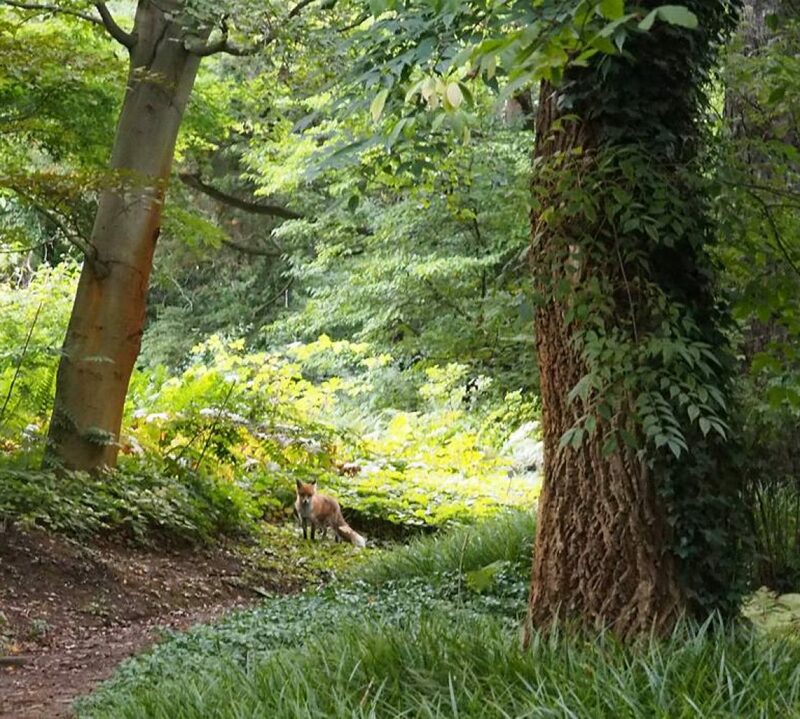 I absolutely loved your pictures and your descriptions, sound like my kind of pleasures! That cider looks really good, so do those cupcakes, cappuccinos and muffins. And so cool you got a bike! I really want one 🙂 The nature pleasures are also delightful. Looking forward to your next small pleasures. Maybe that’s why I enjoyed yours so much too, seems we both enjoy nature and food 🙂 I was actually taking my old bike to be repaired but it turned out it would be more expensive than expected, and I’ve been meaning to get a better one for a while so decided that was the day! Still want to fix up the old one though as I am quite fond of it. Look forward to seeing what this week brings!